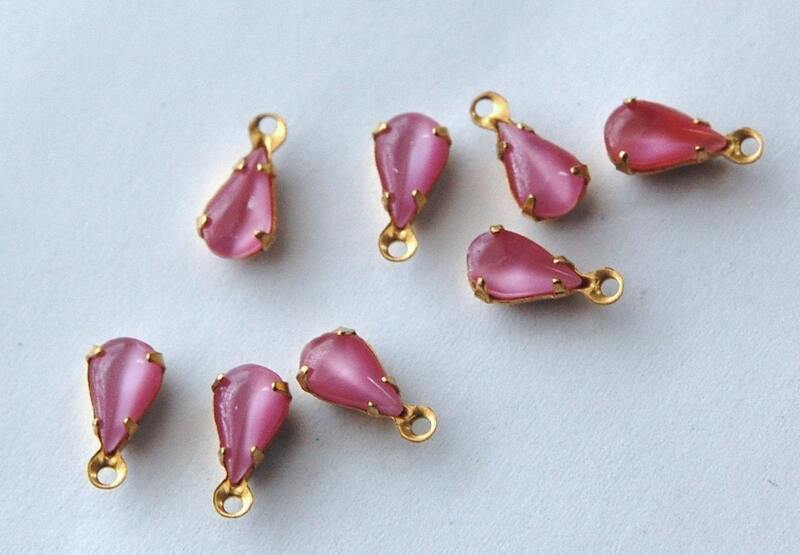 These are vintage rose pink stones set in a one loop brass setting. The stones measure 8mm x 4mm. You will receive 8 of these. everything is beautiful. i love this shop... best selection, fastest shipping. i am never dissapointed! ty so much!